SNL Roasts LeBron's Teammates With "The Other Cavaliers" | Total Pro Sports SNL Roasts LeBron's Teammates With "The Other Cavaliers"
LeBron James has been in the league for 15 seasons and reached the NBA Finals in each of the last seven. During that stretch he’s played more minutes than any other player in the league, and this season, for the first time in his career, he played all 82 regular season games. Despite all this, at the age of 33, LeBron is putting on what might just be the best playoff performance of his career. Through 10 games, the man is averaging 34.8 points, 9.5 rebounds, and 8.8 assists per game. And, on Saturday, LeBron nailed what will surely go down as one of the greatest buzzer-beaters of his career, a running one-legged, one-handed bank shot that gave his Cavaliers a 3-0 stranglehold over the cursed Toronto Raptors. The Cavaliers are now five wins away from a fourth straight trip to the NBA Finals. At times it feels like LeBron is winning games single-handedly. 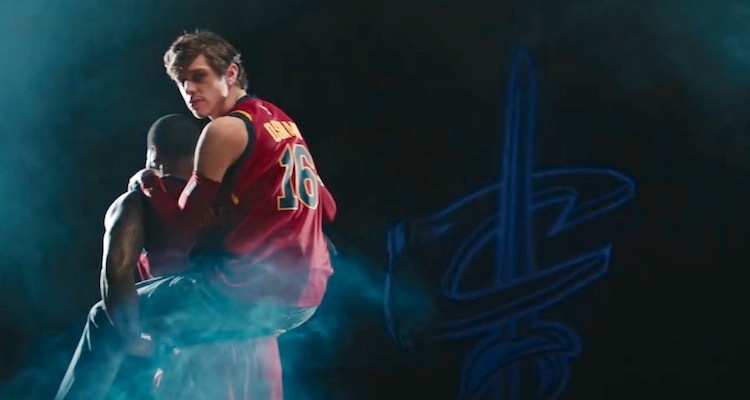 According to a savage new SNL sketch called “The Other Cavaliers,” he pretty much is. In fairness, the Cavs’ starting point guard is not a Roomba. It’s George Hill. And Kevin Love is way better than a golden retriever. Still, you get the idea. The Cavs are absolutely nothing without LeBron.